Remember when losing a tooth was exciting? Getting that wiggling tooth yanked out by an enthusiastic older sibling. Or losing it at school, you might have gotten a trip to the nurse’s office. Then triumphantly returned to class, brandishing your new trophy. But the best part was definitely the tooth fairy. Going to sleep, dreaming of what she might bring, and waking up to a new, magical treasure. Wouldn’t tooth removal as adults be so much more fun if she still paid you a visit here in New Orleans? 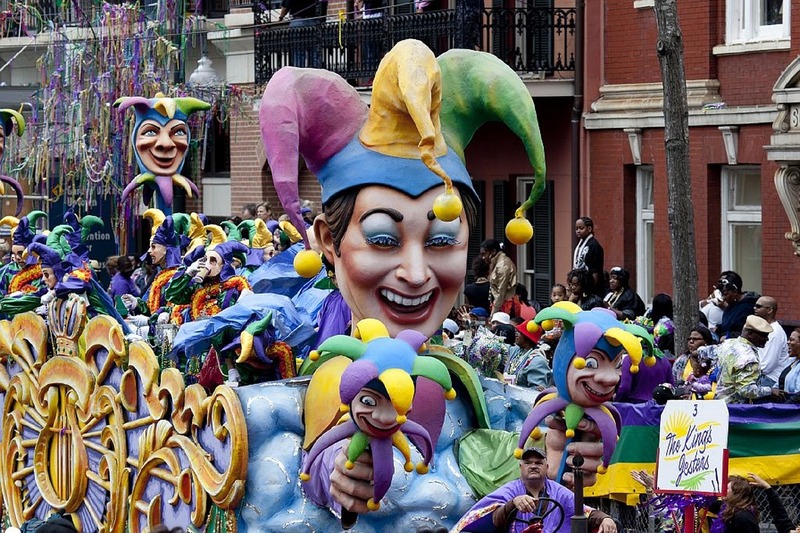 We imagine the New Orleans tooth fairy dressed like she’s on a Mardi Gras Krewe Court. But don’t let her glamorous, sparkly appearance fool you. She’s as down-to-earth as any true New Orleanian. Probably whispering, “Where y’at, cher?” as she searches for your molar. But what would the New Orleans Tooth Fairy put under your pillow to reward you for your tooth removal? Throw Me Somethin’! The New Orleans Tooth Fairy has her pick of Mardi Gras treasures to share. Doubloons are a classic and obvious choice. But if it’s a nice, big tooth (and you’ve been good this year) you might earn a traditional Zulu coconut or sparkly Muses shoe! Who Dat Say Dey Gonna Lose a Tooth? If she’s feeling REALLY generous, she might slip a Saints ticket or two between your sheets. Though her willingness to share might depend on how the season’s going. She’s got the biggest crush on Drew Brees, after all (who doesn’t though?). We want to believe in the New Orleans Tooth Fairy! Unfortunately, we can’t guarantee anything under your pillow after a tooth removal. At Exceptional Dental we can guarantee our staff will give you exceptional care. We can even help you out with dental implants afterward. Our dentists, hygienists, and technicians are your very own New Orleans Tooth Fairies! Trust us for your emergency, preventative, and cosmetic dentistry needs. We have seven locations throughout the Greater New Orleans area. Contact the one nearest you to ask questions or schedule an appointment. In the meantime, we’ll keep our eyes peeled for that New Orleans Tooth Fairy (and Drew Brees)!